Half of the insert was gone, but I managed to plane a short length of the appropriate profile with the plane anyway. 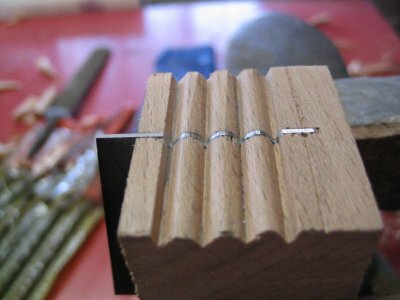 I made a slot to the molding for a scraper. Scraper blank came from an old cast steel saw blade. The whole idea on this is that the profile is super fast to file down using the molding as a guide. 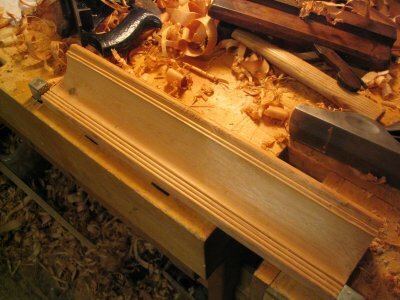 And you practically can't ruin the scraper profile in accident, the wood protects it very well. 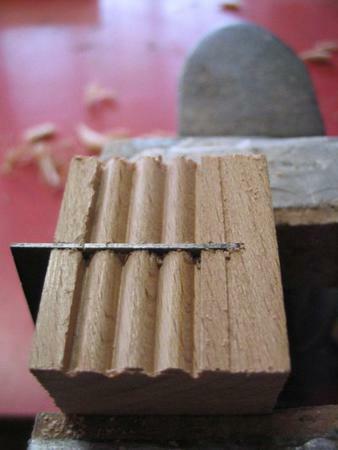 Only thing you might have to do is touch up some of the deepest grooves after removing the scraper from the piece of molding. Just an ordinary scratch stock and a piece of beech. I did not have any "proper" wood for the insert, but beech seems to hold up fine. I used hide glue (hot glue) to glue the insert together. Just that the insert could be removed later for any future replacement. On the last pic some reeds on a piece of molding I made for my bathroom. 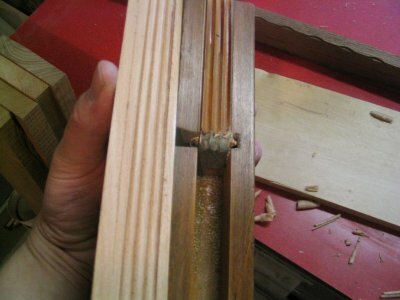 Making the bathroom moldings is a story worth of another thread, I'll write it down one day.